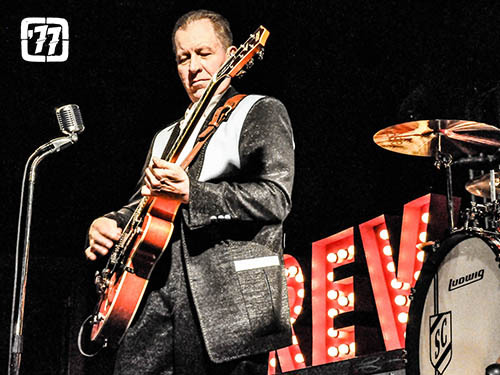 Reverend Horton Heat is the name of the Dallas, Texas-based psychobilly trio, originally formed in 1985 by frontman Jim Heath, inspired by bands such as The Cramps and The Meteors. Current members are Jim "Reverend Horton" Heath on guitar and lead vocals, Jimbo Wallace on the upright bass, and Scott Churilla on drums. Their sound is self-described as "country-fed punkabilly."